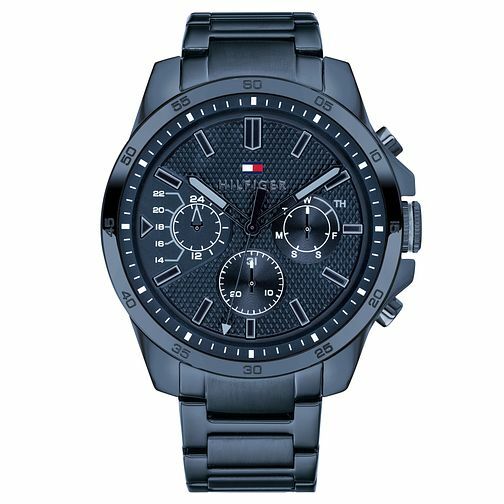 Sleek Decker men’s watch from Tommy Hilfiger. Featuring a 46mm blue ionic plated case, blue diamond textured semi-gloss dial and blue ionic plated bracelet, this smart and stylish timepiece makes for the perfect and practical wristwear. The Hilfiger flag proudly sits at the 12-o-clock position.